I bet you thought December was just going to be a bunch of wordless posts, right? Well, as much as I’d like to keep that up (less stress and all), the pure laziness has to stop now. I can’t spend the whole of December this way! So be on the lookout for some more substantial posts in the days ahead. But for now, on to the recipe. This Korean ground beef one of my favorite grain-free recipes to make and divide up for weekday lunches along with some roasted vegetables (broccoli and carrots are my favorite). It’s simple, doesn’t require any unusual ingredients, and tastes great. What more could you ask for? Brown the meat, add the sauce, simmer a bit, and you’re done. Delicious! Next time I make a batch of this Korean ground beef I’m going to add some diced vegetables (whatever I have on hand, really) and see how that turns out. 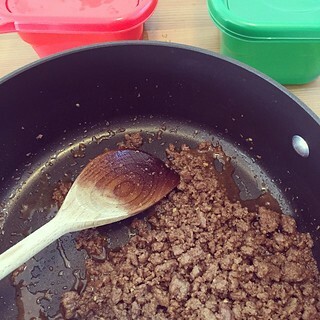 In a large skillet over medium heat, brown the ground beef with the garlic until the meat is no longer pink. At this point you can drain the fat if you want to, but I use such lean ground beef (7% fat) that it doesn’t seem necessary. In a small bowl whisk together the remaining ingredients (honey, soy sauce, sesame oil, ginger, and pepper). At first the honey will seem like it doesn’t want to combine with the other ingredients, but keep whisking and everything will come together. Pour the sauce into the skillet and simmer over medium-low heat for 5-10 minutes to blend the flavors. The sauce will thicken a bit too. Serve with vegetables (roasted broccoli is my favorite) or over rice (if grains are in your diet). Enjoy! Based on Six Sister’s Stuff’s Korean Beef and Rice. I’ve shared quite a few really simple recipes on my webpage, but this one rivals them all for ease of execution. It’s almost a no brainer! But believe it or not, before I tried this recipe I had never cooked potatoes in my life. Is that weird? But when I gave up grains I had to find something to replace the carbs in my diet, especially before long runs. Potatoes seemed to fit the bill. Too bad I didn’t know how to cook them! Fortunately this method couldn’t be easier. 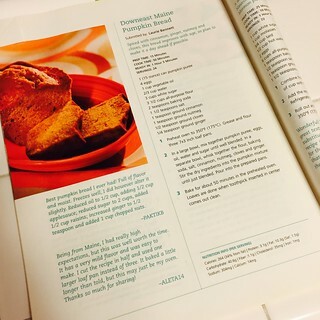 I even found a recipe that left the skins, which was great because I dreaded the idea of peeling potatoes! Pretty much all you have to do is dice them and roast them. So simple and so delicious! Clean the potatoes (I had to buy a vegetable brush for this) and then dice them into approximately 1/2″ to 3/4″ pieces. You don’t even have to peel them! Put the diced potatoes into a large bowl and drizzle with the olive oil. Don’t be stingy with it. 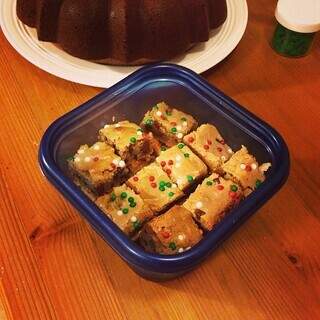 My first batch stuck to the pan because I didn’t use enough oil. Stir the potatoes (a spatula seems to work best) to make sure all of the chunks are coated. Then sprinkle liberally with salt and pepper. Stir the potatoes again and add more salt and pepper, if desired. Spread the diced potatoes in a single layer onto a cookie sheet lined with aluminum foil and coated with cooking spray (another nonstick line of defense). I like the olive oil spray from Trader Joe’s. Bake the diced potatoes at 400 deg F for 30-40 minutes, stirring once or twice. When they’re done the potatoes will be slightly crispy on the outside. Enjoy! 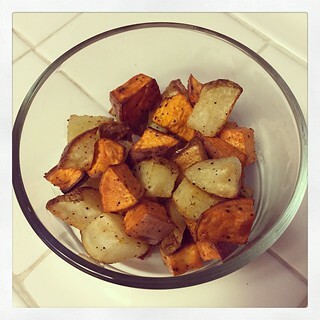 Based on The Cookin’ Chicks’ Parmesan Roasted Potatoes. I’ve been spending a lot of time browsing Paleo food blogs lately. Despite the fact that I’ve been doing really well cooking meals consisting of meat and vegetables to fit into my new diet, I still need to branch out and give myself more options. Fortunately, it’s easy to make chili both grain free and Paleo, so preparing for the chili cook-off at work next week has been a snap. Not only am I perfecting the recipe I’m going to feed my hungry co-workers on Halloween, but I can eat the practice batches with zero guilt. To build on the success of my yummy bacon chili, I found a recipe on a Paleo food blog that included both bacon and pineapple. I definitely had to try it. Besides the pineapple, this chili wasn’t all that different from my previous batch, so I was basically just seeing whether the fruit would add anything to the dish. Unfortunately it really didn’t. Don’t get me wrong, the chili wasn’t bad, it just wasn’t remarkably good either. The good news is that I got quite a few healthy lunches out of this pineapple chili, but the bad news is that it didn’t help me improve my bacon chili recipe. I’m planning to make one more test batch this weekend so hopefully it won’t be long before I perfect what I’m making for the chili cook-off next week! Cut the bacon slices into 1/2 in pieces. In a large nonstick skillet, cook the bacon over medium heat. Once the bacon is crispy, remove it from the pan with a slotted spoon and set aside for later. Add the ground beef to the pan with the leftover bacon grease and cook until no pink remains. Add the diced onions and peppers near the end to cook them slightly before they go into the Crockpot. Add the ground beef to the pan and cook until no longer pink. Add the chili powder, cumin, garlic powder, oregano, salt, and black pepper to the pan. Stir and cook until fragrant, about 2 minutes. Dump the beef mixture into the bottom of your slow cooker, preferably with a liner to make clean up a breeze. Pour the diced tomatoes, tomato sauce, and diced pineapple (make sure you drain off most of the juice or the chili will be runny) into the slow cooker as well. Throw the reserved bacon on top and stir gently to combine all of the ingredients. Put the lid on the Crockpot and cook on low for 6-8 hours, or on high for about 4 hours. Enjoy! Note: You can make this on the stovetop as well. Check out the recipe link below for details! Based on Civilized Caveman’s Spicy Pineapple Chili. I bet you’re thinking, “She finally ran out of chocolate chip cookie variations so she’s rehashing old ones, hoping we won’t notice.” Well, that’s where you’re wrong! I actually have four chocolate chip cookie experiments on deck, but I want to get some photos before I write about them. This means I have to make each one of them again, with perhaps a slight alteration or two to improve the results. But even if all of that wasn’t true, these olive oil chocolate chip cookies are so good that I know you’ll forgive me for not posting something original this week. I originally wrote about these back in January (hence the festive sprinkles in the above photo), but they are so good that I wanted to share the recipe. If it looks familiar, you’re right. This is my perfect chocolate chip cookie recipe with an equal amount of olive oil (extra light – not extra virgin!) substituted for the butter. Using olive oil makes these cookies healthier, and actually simpler too. No melting the butter, or even waiting for it to soften – the oil is already in liquid form! So if you need to whip up a batch of chocolate chip cookies in a hurry, try this recipe. Believe it or not, you won’t miss the butter! In a large bowl, cream together the olive oil and brown sugar. You can use an electric mixer for this, but I usually just use a wooden spoon and stir vigorously for a couple of minutes. Add the egg and vanilla and beat/stir until combined. Add the baking powder, salt, and flour and stir until almost combined. Fold in the chocolate chips, which should help incorporate the rest of the flour. Don’t over mix! Press the dough into an 8×8″ pan lined with aluminum foil and coated with cooking spray. This makes of easy removal from the pan when the cookies are cool and less dishes to wash later. Bake at 350 deg F for 25-30 minutes or until golden brown and a toothpick inserted in the center comes out clean. Cool completely on a wire rack before slicing. Enjoy! Based on Cooking on the Weekends’ Olive Oil Chocolate Chip Cookies and My Perfect Chocolate Chip Cookie Recipe. This is another revisit of a chocolate chip cookie recipe, but an extremely successful and delicious one. Chocolate chip cookies #43 revisited. With some leftover grapeseed oil from my previous batch I figured I’d try making them again, but this time using my personal favorite chocolate chip cookie recipe as a guide. All I did was replace the stick of butter with 1/2 c of grapeseed oil, and I thought the result was awesome! Somehow the cookies had a wonderful buttery flavor without actually including any butter. I don’t know how that happened, but I’m not asking any questions! In a large bowl, cream together the grapeseed oil and brown sugar. You can use an electric mixer for this, but I usually just use a wooden spoon and stir vigorously for a couple of minutes. Add the egg and vanilla and beat/stir until combined. Add the baking powder, salt, and flour and stir until almost combined. Fold in the chocolate chips, which should help incorporate the rest of the flour. Don’t over mix! Press the dough into an 8×8″ pan lined with aluminum foil and coated with cooking spray. This makes of easy removal from the pan when the cookies are cool and less dishes to wash later. Bake at 350 deg F for 25-30 minutes or until golden brown and a toothpick inserted in the center comes out clean. Cool completely on a wire rack before slicing. Enjoy! Based on Cookies and Cups’ Grapeseed Oil Chocolate Chip Cookies and My Perfect Chocolate Chip Cookie Recipe.